Want to connect with Lucy? 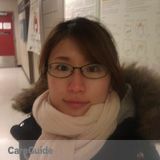 I\"m a mature, responsible, and dependable caregiver with a previous degree in Psychology and Sociology (from the University of Toronto). I\'m currently attending the University of Calgary for their degree-holder Nursing program. Although I don\'t have extensive experience in child care, but I love children and am a quick learner, so I\'m confident that I\'ll be able to quickly learn whatever it takes to provide good care to your children. After all, this is what I\'m learning in nursing school - how to provide safe, competent, and ethical care to clients. And as with all nursing students, I\'m up-to-date with all vaccines and have had a vulnerable sector police reference check (as it is needed to work in the children\'s hospital). In terms of availability, I have complete open availability (almost, except for Sat) from now until May 11th 2014, after which it\'ll be from 6pm and on. I have only worked as a babysitter once before, caring for 3 children under the age of 8. However, I have volunteered as a child activity worker at YMCA for a year supervising 30 children at once between the age of 2 to 13.